We are so grateful that spring is finally on it’s way. but here in Canada it is high time to break out the flip flops and shorts! Ummm what were we talking about? Oh yeah! These awesome Upcycled Jersey Shorts! They are just the perfect thing for active, busy boys. 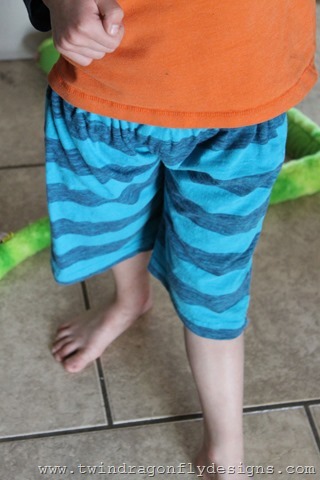 My guys tend to burn through a couple of pairs of shorts a day. Trampoline water fights turn into backyard mud baths around here. And lets not talk about camping! Seriously, diiiirty! 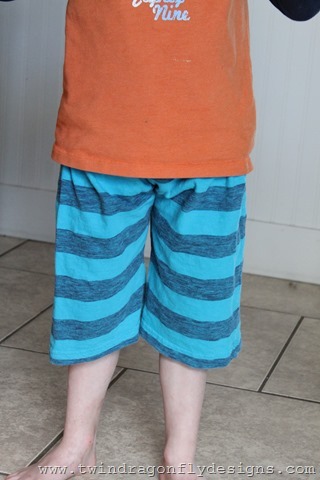 So I decided that I needed to whip up a few pairs of shorts for the boys. 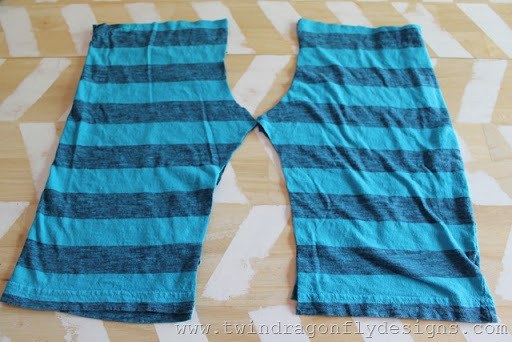 I started with extra large jersey t-shirts from the thrift store and used this Anywhere Shorts Tutorial as a starting point. Three pairs of shorts took about 45 minutes to make! Whoop Whoop! And seriously friends, you can do this! 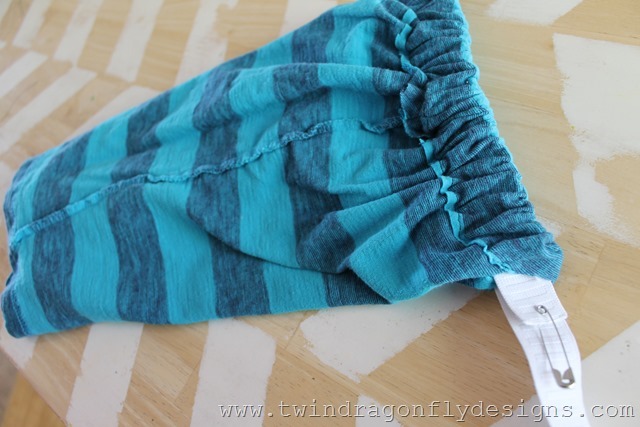 Simple, straight line sewing! I used this short template that I had created last year. The boys have only really grown in height so the width and length was still good. When cutting each leg I used the hem of the t-shirt as the hem for the shorts and the fold at the side of the shirt for the fold in my short pattern. Here I have cut two legs from one extra large t-shirt. 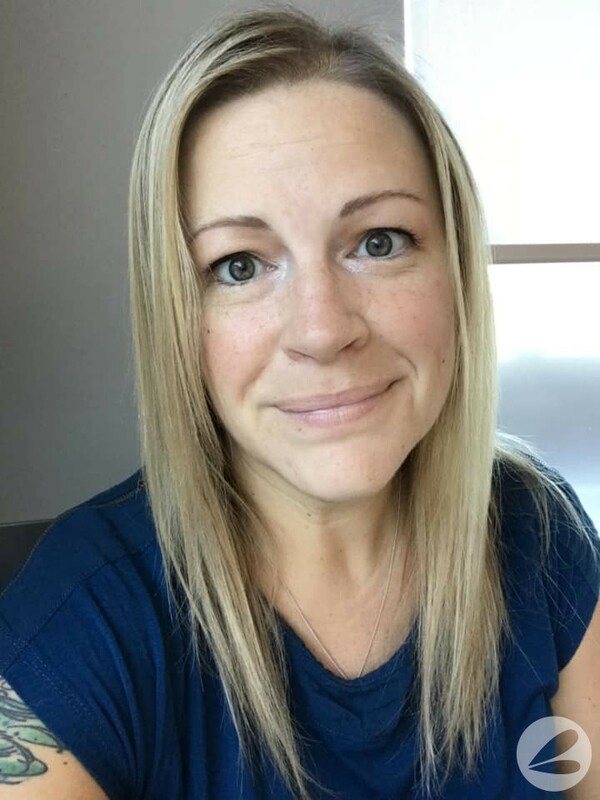 If you are using a striped t-shirt make sure to have the stripes line up or it may drive you crazy that your kid is running around in mismatched stripes. Just me? Sew the leg together, right sides facing. 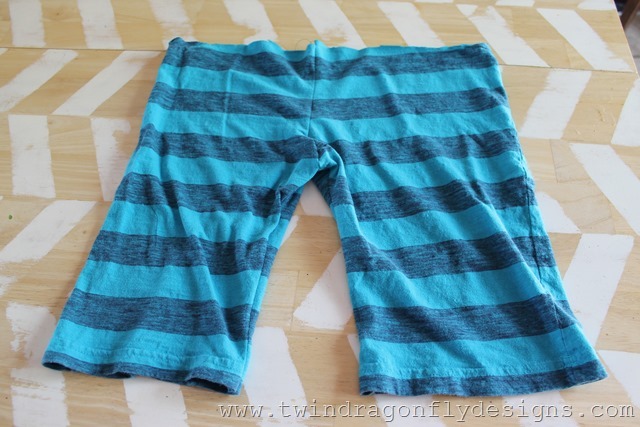 Then sew the front and back together ~ check out my Anywhere Shorts Tutorial for better directions. 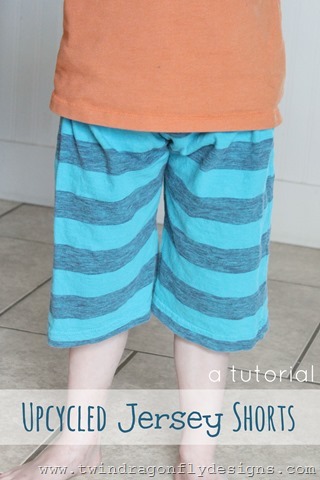 Fold over the top of the shorts and sew a pocket. 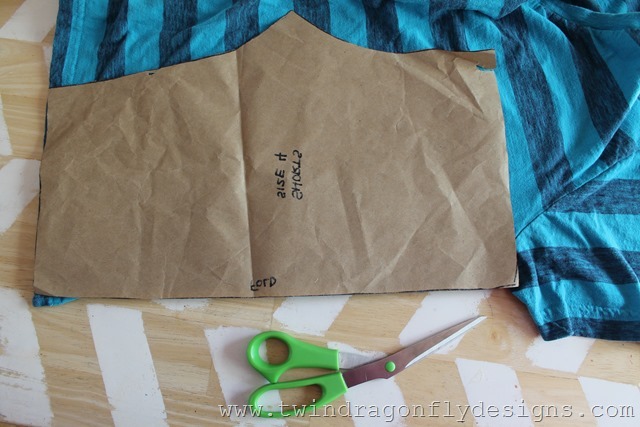 Insert an elastic into the pocket and sew to the desired width. Sew the pocket closed and you’re done like dinner! I need to find more extra large t-shirts for cheap! And I see many more of these in my future. Especially for camping! 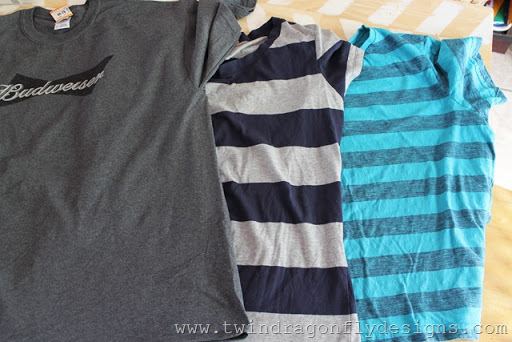 We tend to run out of clothes for the boys when camping because they get so freaking messy/dirty/muddy/grubby. With a ton of lightweight jersey shorts we could last weeks in the great outdoors! And if you make any of these shorts, I want to see them! Wow! 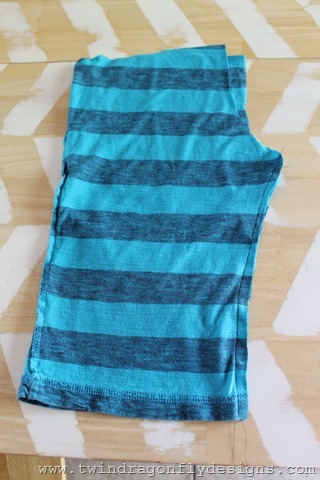 They turned out adorable, who would ever guess they used to be a shirt?! Turned out great! Thank you for sharing! 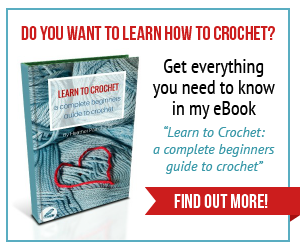 I’d love to have you visit our Pattern Party! Those with free patterns and templates are invited to link up from the 1st of the month to the 10th . See you soon!